We’re proud that all Heads Up schools inspected in 2015/16 have gone up by at least 1 Ofsted grade. To create an outstanding school you need to create a high performing culture, an outstanding culture; which means you can’t keep doing what got you to good. Our Journey to Outstanding programmes help you do this by using 3 key strategies. Every school has a vision. Most don’t do the job they need to. The team are energised by it. So you want an outstanding vision? 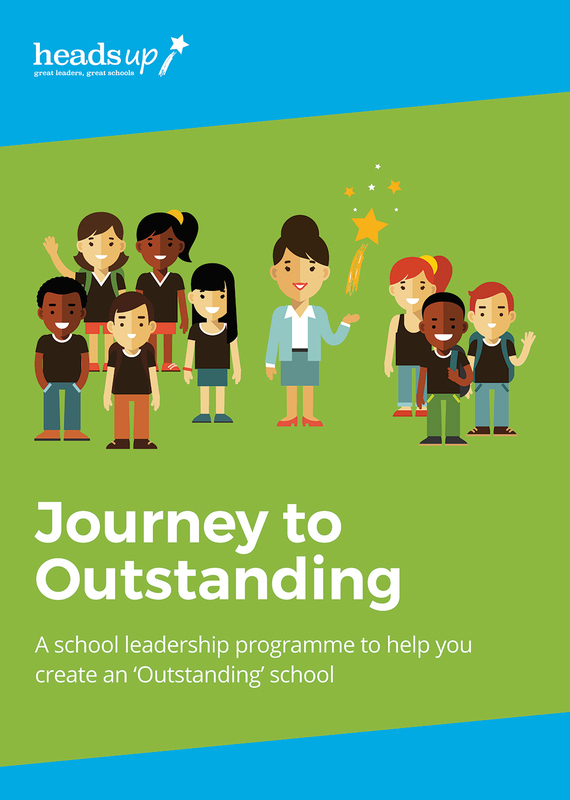 You need our ‘First steps to outstanding’ course. Over 1 – 2 terms we work with your leadership team and we come to you. The result: A compelling vision you team loves, wants and remembers. Getting really good at dealing with conflict is the second of the 3 strategies needed to create an outstanding school. Conflict is the currency of leadership. But most of us are not trained in how to handle conflict well. Yet it’s a key feature of high performing teams. And conflict costs your school at least £19k pa. The result: You will have your team behaving and performing as well as your class did. We’ve trained 100s of school leaders in how to have difficult conversations more successfully and 100% recommend the training. Staff costs are your highest cost and your greatest asset. Every school is spending time and money on CPD. But most schools don’t feel like they are getting real value from that CPD. The problem is it’s harder to stretch good performers to become great. You want to take your culture to the highest level? Then our ‘Outstanding and beyond’ course is for you. Over 2 years we work with your leadership team and we come to you. The result: A culture of excellence. We offer a ‘no questions asked’ satisfaction guarantee for ‘Moving to Outstanding’ and ‘Outstanding and Beyond’. If after the first 3 days of training you’re not happy with the training you have received we will give you a full refund, no questions asked.